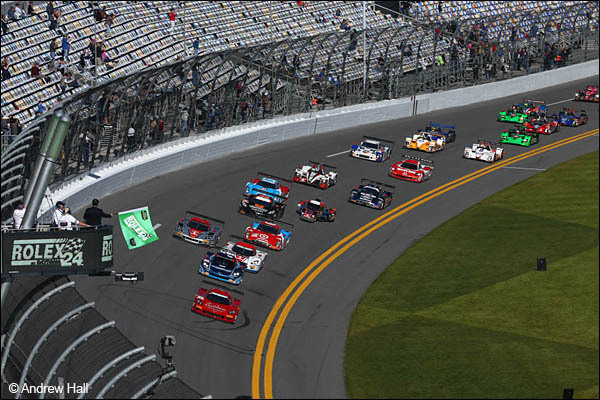 We’re now several days distant from the conclusion of the 52nd running of the Rolex 24 at Daytona and, as expected, the debate is raging over the success or otherwise of this first incarnation of the Tudor United SportsCar Championship. There is clearly much work still to be done, in terms of BoP in particular and revisiting certain parts of the regulations – not least, the regulation that allows for avoidable contact to be called where no contact has taken place – but I would like to just ponder on the race as a spectacle. 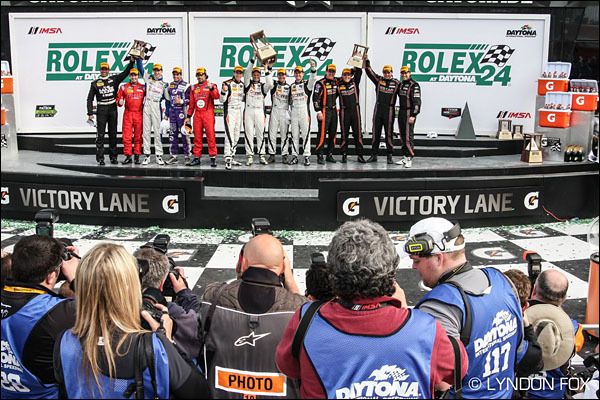 My first visit to the Rolex 24 was in 1999, in the days when I had to buy a ticket to watch racing, and I subsequently made three more visits to the grandstands before moving to the media centre in 2010; so the race has a special place in my heart. It has its own atmosphere, often its own weather, and its setting on and within the DIS Tri-Oval offers unparalleled viewing opportunities; and it very often produces some outstanding racing. But I flew out of Florida this year with the unshakeable feeling that things had taken a step back. Why was this? Let’s begin with the Full Course Cautions, or ‘Those Damned Yellows’ as I prefer to refer to them. These have always been a major bone of contention with me, but over the years I have realised that they are a fact of US racing and have come to accept, if not love, their use. Every year there are one or two that have no obvious explanation (the dreaded “debris on track”), but mainly you can see the requirement at a place like Daytona. And it was heartening to read in the regulations (47.2.5.E) this year that there was provision for a DEBRIS Full Course Yellow, whereby the pits would remain closed throughout, thus speeding up the whole process. However, a look at the 15 Safety Car periods (and I have not included the Yellow/Red period relating to Memo Gidley’s crash) reveals that the DEBRIS FCY option was used only once – between 8:03 and 8:14 pm. Of the other 14 occasions, only three were shortened due to their proximity to previous yellows or the start or finish of the race, as per the regs – these lasted 11.5 minutes on average. That left 11 FCYs with an average duration of 24 minutes, resulting in a total of 320 minutes behind the safety car, not including the period from 4:58-6:24pm on Saturday. Is this a case of the Race Director being cautious, or does it indicate a policy decision to bunch up the field at every opportunity through the use of the Lap Down Wave By? Prior to this race, I have managed to keep my cynicism in check on account of the past several editions being allowed to run their course in the closing stages without unnecessary intervention from the Safety Car, and there were certainly times when a FCY could easily have been called – the fiery demise of the Flying Lizard DP late in the 2011 race springs to mind. And yet this year we had the decision made to call a FCY just 20 minutes from the end following an off from Leh Keen’s Porsche, which continued on its way just seconds later. This can only be described as ‘itchy-trigger-finger syndrome’ and gave the distinct impression that Race Control was just waiting for an excuse to bunch things up for the conclusion. I sincerely hope this was not the case, but it created both an artificial climax to the race when none was needed, and also the conditions for the GTD controversy to arise. I’m not saying that the Lizard Audi would have caught the Level 5 Ferrari, or indeed that it had enough fuel to get to the end, but it would have been fun to watch, and we were denied that. My point is that it should not be the job of Race Control to determine who gets an advantage or the opportunity to get back in the game. Their role should be purely to react to any particular incident as they see fit and call the appropriate caution – pits closed for debris and pits open where safety workers need more time. At that point, the team strategists will make their calls and the better ones will profit, which is how it should be. My next point addresses the other major talking point from the meeting, which is race commentary. I won’t talk about TV as we in the media centre didn’t get the ‘at home’ experience, so I don’t feel qualified to discuss this aspect, but it is certainly appropriate to talk about the circuit PA and MRN, which both left a lot to be desired. Actually, that’s letting the circuit team off the hook – they were dreadful! 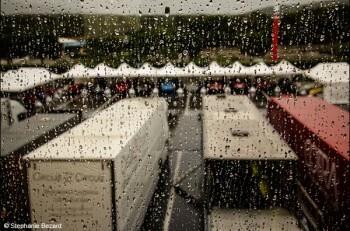 It is simply not acceptable for a qualifying session as good as the ones we had last Thursday to have gaps of several minutes between bland announcements along the lines of “Such and such is quickest with five minutes to go.” The fans at the circuit would have only been able to follow proceedings via live timing on mobile devices or via the scoring tower. As for MRN, they were marginally better, but it was clear that they were in unfamiliar territory and their output – no broadcasts on practice and qualifying days, it should be noted – was below what is expected nowadays. 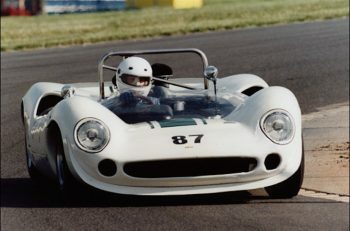 I fully appreciate that the series is looking to cast the net wider and attract fans beyond the sportscar-aficionado demographic, but there are good ways and not-so-good ways of doing that; and a not-so good way is to treat the fans in a patronising manner by assuming they will only be interested in a close finish – I doubt John Hindhaugh would have said “You couldn’t have written a better script” after the travesty of the final caution call. 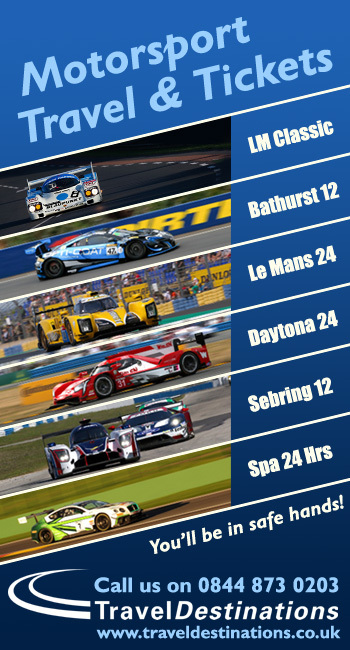 DSC of course has close links with Radio Le Mans and we will of course champion the station at every opportunity, but only because it is the best in the business, in our opinion. 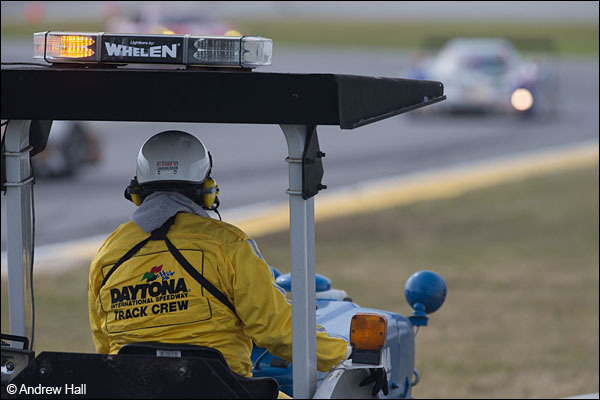 And the difference between what MRN and RLM do, is that the latter reads the race while the former just reports on what it sees; and that is a significant factor when it comes to educating fans and spectators new to this branch of motor racing. Again, I appreciate that RLM is not currently the preferred broadcaster for TUSCC commentary, but the organisers should at least ensure that the MRN team is upskilled, and quickly, in sportscar racing matters. Having said all this, all is a long way from being lost. The race and circuit powers-that-be have shown themselves to be progressive and able to react to feedback and it is to be hoped that they continue to do this in the days to come. Every new project has its teething issues, and I’m confident that these will get ironed out in due course. 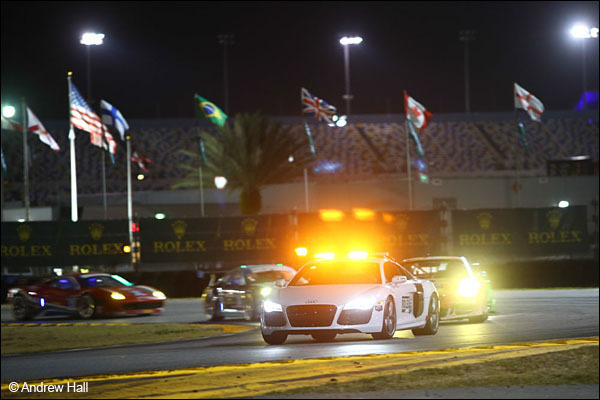 The Rolex 24 stands on the verge of becoming a very significant race once more, capable of attracting word-class teams and drivers from the US, Europe and elsewhere; and, once the extraordinary Daytona Rising project is completed in 2016 (details coming soon on DSC), it will arguably also be able to offer the finest spectator experience in the world. It would be a tragedy to squander this potential with the entrenching of positions at this crucial time.